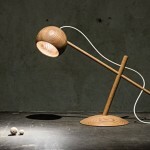 Alessandro Zambelli has designed a wooden table lamp named Woodspot for Seletti. 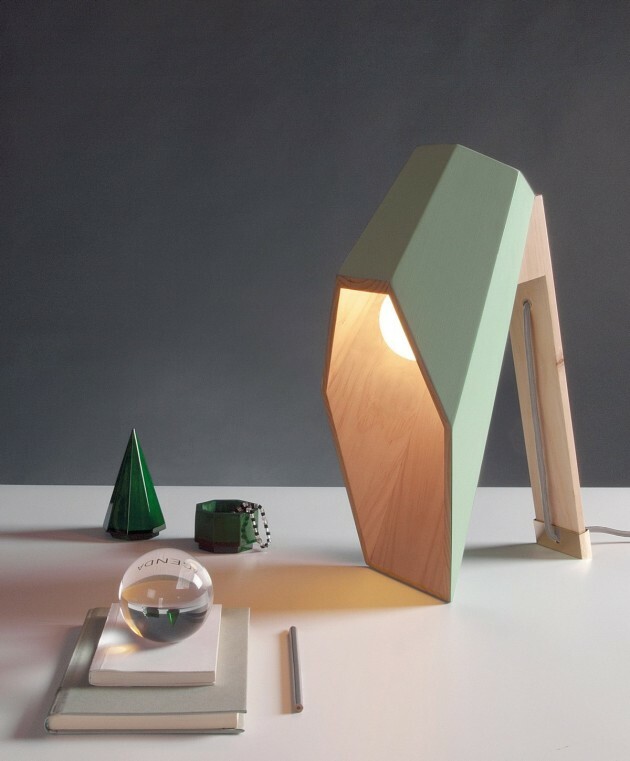 “Woodspot” by Alessandro Zambelli: visionary synthesis of material, light and shade. “The Empire of Light” is all about light and its power. Shadows and reflections, darkness and sudden flashes stretch the imagination to its most surreal limit. Magritte’s visionary genius also offers the starting point for our latest design story. 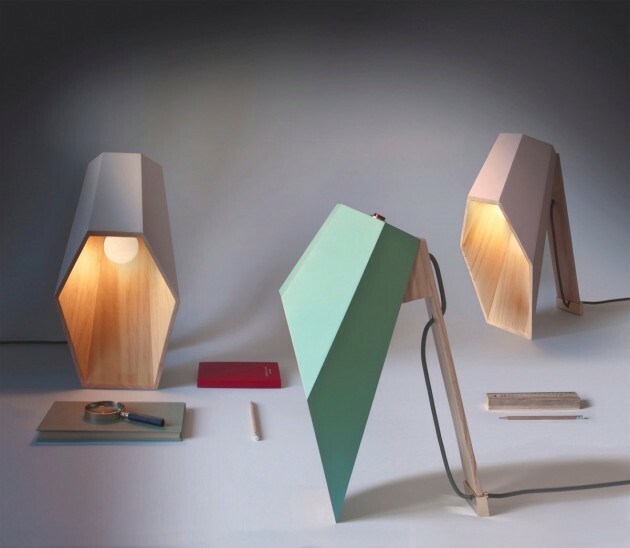 Alessandro Zambelli has conceived “Woodspot” for Mantua-based furnisher Seletti. 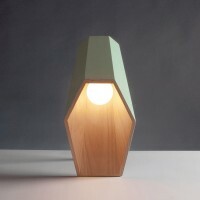 The item is one of the previews of the Mantua-based company’s presence at the next edition of Maison et Objet, scheduled for 5 to 9 September 2014. 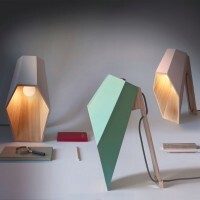 Zambelli’s new work is a table lamp assembled and varnished entirely by hand. 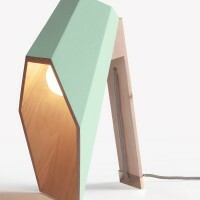 Joined to the moulded support are a base and a light diffuser, both in pine with a natural finish. 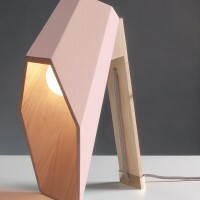 The diffuser itself is available in ivory white, flesh pink or pastel green. 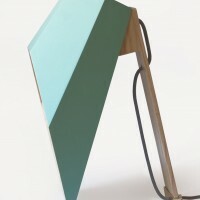 The base rests at an angle, like the prop of a photo frame. 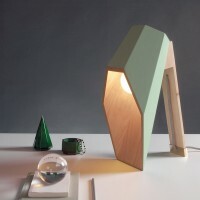 It supports a light diffuser with the unexpected look of a three-dimensional frame, projected to the boundary of unreality. The object’s highly unusual profile stands out. This is an iconic shape, which imposes itself on space. The emerging beam lightens the solid materiality of the wood and casts a warm and compact pool of light in the surrounding darkness. It may seem a figment of the imagination, yet it remains firmly anchored in a quintessentially material reality. 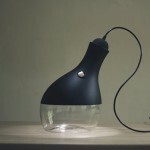 There is nothing schematic about Alessandro Zambelli’s new design, for this is a tale of the unexpected. 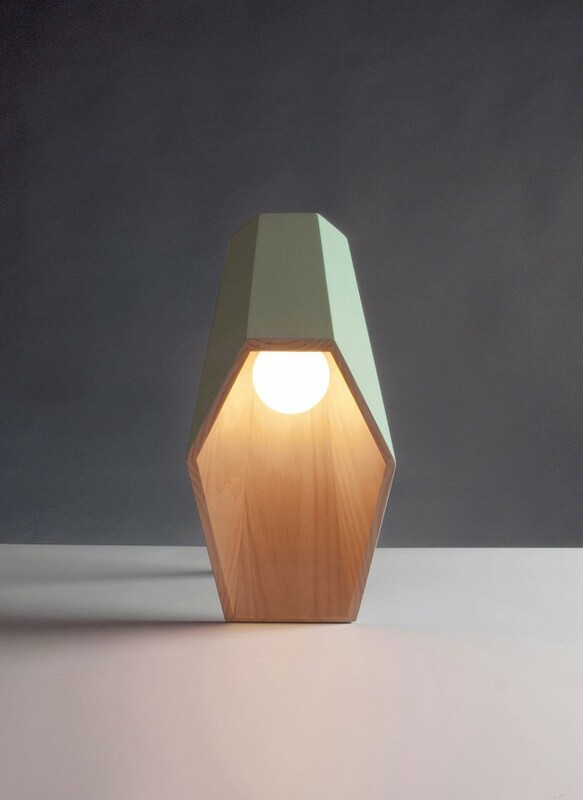 Woodspot simultaneously surprises, fascinates and enchants, because it conceals something mysterious within itself. 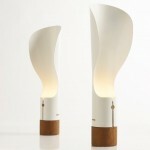 This visionary synthesis of material, light and shade blurs the boundaries of everything. Like the Magritte painting, it is a recomposition by different rules which sidestep convention. The result is a new and unusual ideal of beauty. 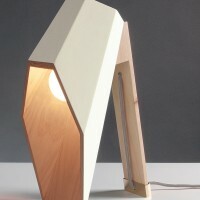 Woodspot is 22 cm long, 44 cm high and 23 cm deep. 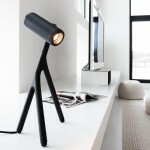 The lamp fitting is suitable for light sources of up to 60W.